An innovative injectable treatment designed to improve skin quality for up to 9 Months! Juvéderm® Volite delivers improvements in skin smoothness (abscence of fine lines), hydration and elasticity, and is designed to last up for to nine 9 months with just ONE TREATMENT! 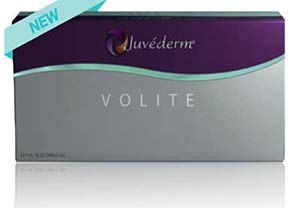 Juvéderm® Volite answers the need for a treatment that delivers a healthy-looking glow, combined with the fact that one treatment is needed to achieve results, this product will be a game changer. Great skin can have a profound effect on a patient’s life, in particular giving them confidence. When you’re happy with you you look on the outside, this effects how you feel on the inside.